Yes! Yes! Yes! The other day I made these delicious Oatmeal Breakfast Cookies, Gluten Free and Vegan that I found from a fellow food blogger. 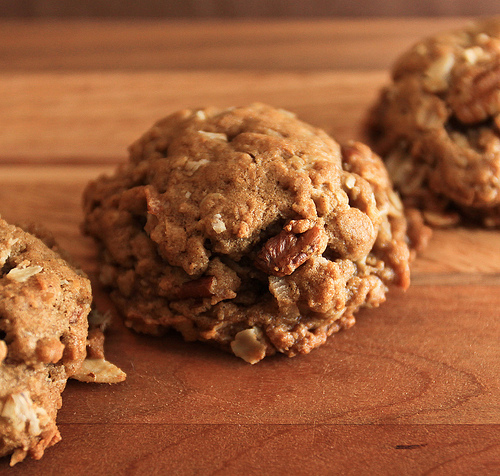 You heard me correctly, these little bites are filled with so many great flavors, including oats and peanut butter and sweetened with a little agave nectar and chocolate chips. They are superb and so good for you, no sugar, no eggs, no butter and no white flour. Made strictly with whole grain ingredients that you don’t have to feel guilty about eating these anytime of the day, even for breakfast!